We are NOT a “by appointment only” dealership! We are open Monday – Friday 9:30am – 6:00pm and Saturday 10:00am – 6:00pm, WALK INS ARE EXTREMELY WELCOME. Many of our clients get the head start on new vehicles in inventory by walking in and securing vehicles before they are advertised and put on the market. We cannot stress this enough; if you are in the area, please do not hesitate to drop in and take a look around. We have a display area showcasing vehicles out front, an indoor showroom with high-end vehicles, a full-service shop, and a waiting lobby for clients and their friends to relax in. We value everyone who takes the time to stop and check us out! We at Shinku Classics LLC are a tight nit team, we’re childhood friends who grew up with a common passion for Japanese culture and Japanese cars. In one way or another we have been working towards this our entire lives. We were raised in Houston and have started from the bottom of the car culture. We’ve worked hard to get here, and we would not be in this position if it wasn’t for others who came up before us and helped us out. We keep our past struggles in mind when it comes to our dealership. This is one of the main reasons we offer IN-HOUSE financing to Texas residents, which is unheard of in this industry. We have gotten many seconds chances in life and we want to extend those second chances to our clients. No credit, no problem. For more information on financing; check out our financing page. 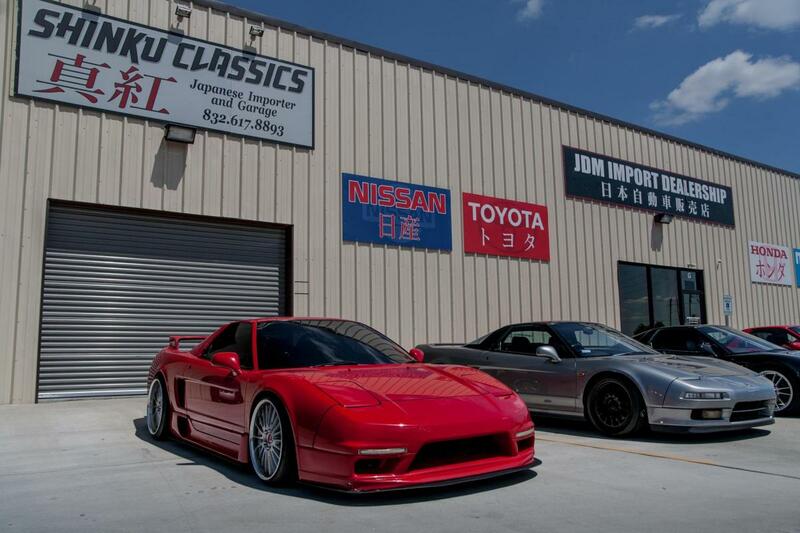 We here at Shinku Classics LLC have a deep passion for JDM culture and cars. Contact us today so we can help you own a true piece of Japan!